For the first card, I started with a piece of heavy cardstock to create my Brusho background. 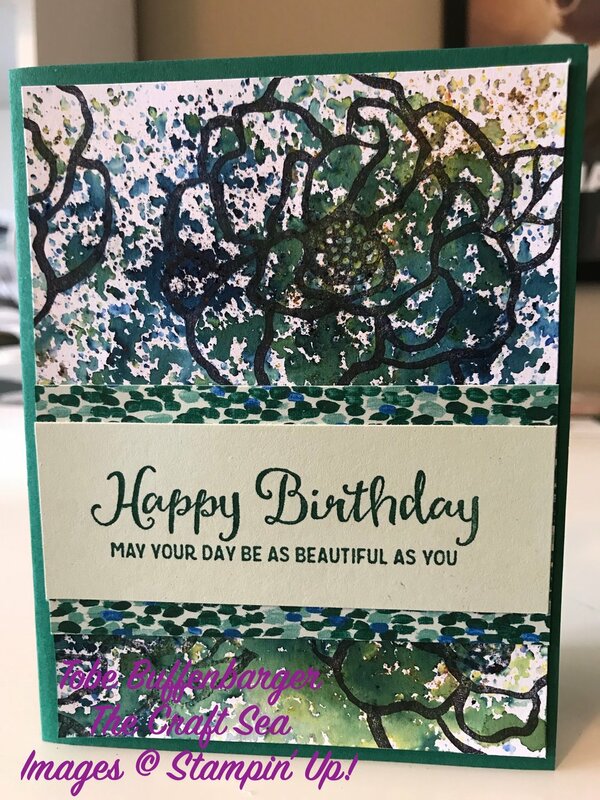 I stamped my bloom in black ink, added some blue, green, and yellow Brusho crystals and spritzed with water. While that dried, I added a piece of similarly colored DSP and a simple sentiment. But then I stepped the card up! I swapped out the white layer for a piece of Garden Impressions DSP. I made sure to prep an extra bloom with Brusho crystals to then cut out and layer. After adding the sentiment, I finished of the card with a piece of slightly sparkly black satin ribbon.